This two-volume set is a complete guide to the diagnosis and management of ophthalmic diseases and disorders. 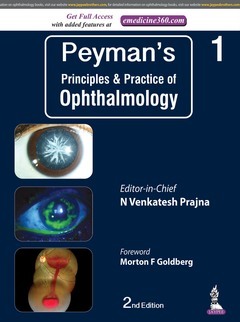 Volume One begins with an overview of basic sciences, ocular pathology, and clinical examination. The remainder of this volume and Volume Two discuss numerous diseases that may occur in different parts of the eye. The second edition has been fully revised and features many new topics including innovative techniques in cataract surgery, imaging modalities, pharmacotherapy, new surgical procedures, and much more. This comprehensive text is highly illustrated with nearly 1900 clinical photographs, radiological images, diagrams, tables and boxes.